More than two months to set up and build the sets, approximately 300 figurants and eleven dates planned between the end of December and the beginning of January. These are the numbers of the Living Nativity scene of Casarlano, on the hills of Sorrento, where it is possible to live a unique experience and taste excellent local food. 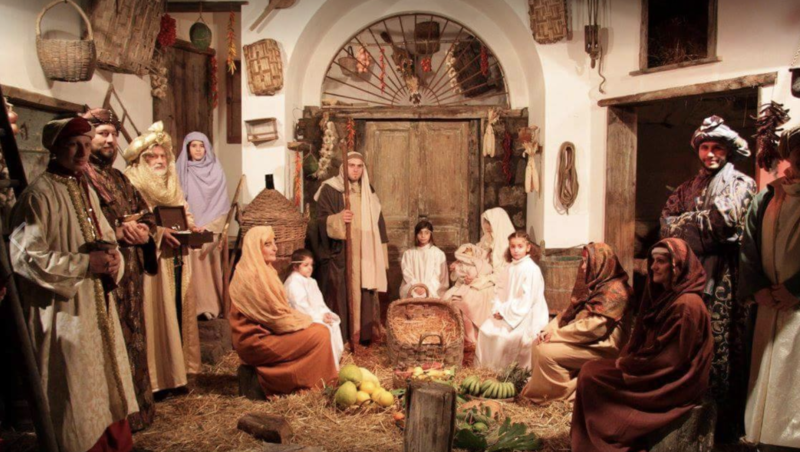 Sorrento Peninsula has a strong Catholic tradition and for the eleventh edition, the Living Nativity of Casarlano, is a great representation of the birth of Jesus. 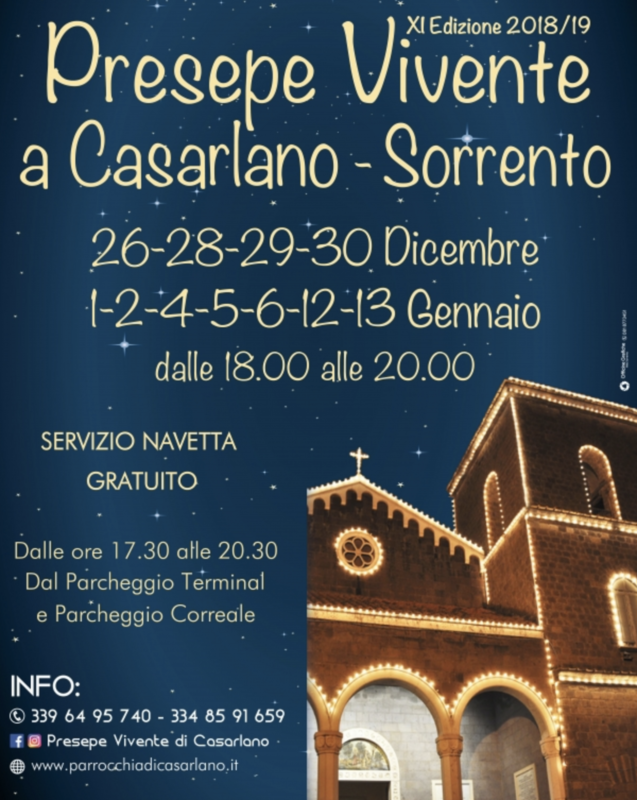 After the thousands of visitors of recent years, the parish community of Casarlano, from the beginning of October and throughout the Christmas period, prepares and builds the scenographies of the event that performs from December 26th to January 13th. The path, which starts from the olive and citrus groves surrounding the old church of Casarlano, continues towards the ancient “Holy Land” below the church, where in the past few centuries there was a custom of burying priests. It continues in the Parish internal courtyard where the village is set up with magnificent structures made of chestnut and walls of tufo and stones, built by masters and enthusiastic collaborators. The figures and participants in historic dresses, who participate in this religious event, are about 300. The main purpose, beyond the purely religious one, is also to raise awareness of the life and crafts of the old times. The representation of the Living Nativity scene will take place on the dates 26, 28, 29, 30 December and 1,2,4,5,6,12,13 January from 18.00 to 20.00. During this period you can stop at the restaurant Le Colline di Sorrento where it is possible to try excellent local dishes: from pizza to appetizers, local meat and vegetables. When you arrive in Sorrento, we suggest you to park at the Correale parking lot or at the Sorrento Terminal parking lot, where a free shuttle service is provided. Living Nativity Scene, Casarlano – Sorrento.